Well, it looks like the first of the AAA delay casualties has struck, and boy if it isn’t a big one. It was only a matter of time before one of the many gaming titles threw up the white flag for 2011, and it looks Mass Effect 3 is the first. Today a Bioware employee posted a quote on the Bioware forums from Casey Hudson, Executive Producer of the Mass Effect series, announcing the delay. 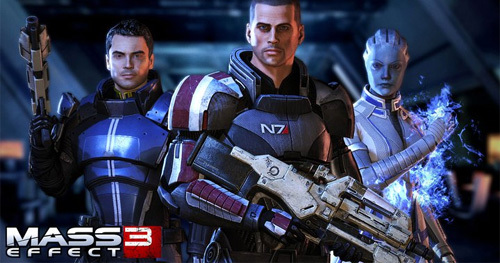 Today we have confirmed that Mass Effect 3 will be released in the first three months of 2012. The development team is laser focused on making sure Mass Effect 3 is the biggest, boldest and best game in the series, ensuring that it exceeds everyone’s expectations. Pretty standard delay business, really. Honestly, I’m not too surprised, seeing as how the turn around time between ME2 and ME3 seemed to defy all logic anyway. We can only hope that this makes the game better in the long run. In the short term, my wallet can breathe a little easier this fall. So what do you guys think? Upset? Disappointed? How do you feel about the reason for the delay, which seems to be to adjust mechanics that will increase Mass Effect 3’s market opportunity? Go! I’m actually happy about this, I called it when it was first announced. I want it to be the absolute best it can be, not to mention it’ll give me time to play Skyrim and Uncharted. Half expected it, also didn’t Nick call this on one of the podcasts if so we should blame him. Im kinda glad, I imagine itll be a better game for it. That and more time for Skyrim. Well now I can actually have a life a little longer because of this. I played ME2 over one weekend and every time i look back i think, why did i do that? So, Uncharted 3 confirmed as game of the year? Is it a coincident that 2012 aka “the end of the world” is the year Commander Shepard fights for the survival of earth? I’ll bet you there is a level that takes place in an ancient Mayan temple where the Mayans predicted the coming of the Reapers, and the end of the world in 2012. I am not too pissed because this means I wont be rushing threw five other games when it comes out. I too am kinda glad it got pushed. Yeah its longer to wait, but I’m confident Bioware will come up with the goods when the time comes. So they’re tweaking things to reach the market share sweet spot that Mass Effect 2 “began to approach”? That doesn’t sit too well – seeing as what lies at the end of that path is essentially Gears of War with a conversation system, as one commenter put it. Ominous tidings aside, though, my brain and my wallet will appreciate a bit more time to digest the rest of the year’s significant releases. Oh thank god! That’s £40 still in my wallet to go towards the hundred other games coming out. Thank you Bioware! Next Next post: GamerSushi Asks: Star Wars?